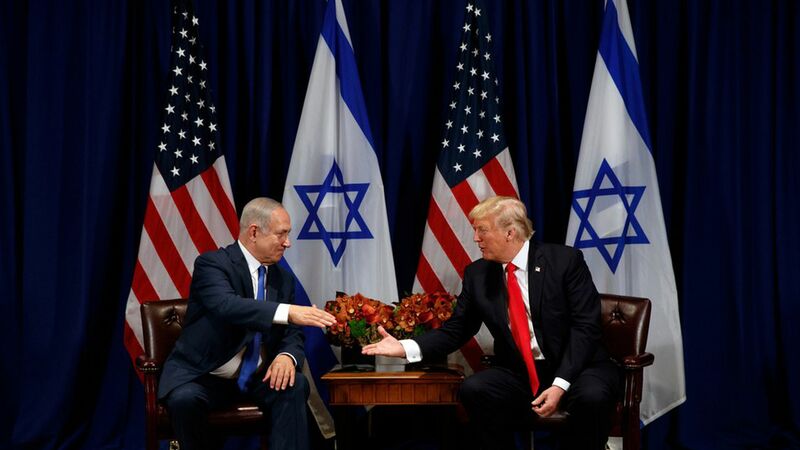 Moments before kicking off a meeting with Israeli Prime Minister Benjamin Netanyahu on the sidelines of the UN General Assembly, President Trump said he thinks there's a "good chance" of peace between the Palestinians and Israelis, adding, "people say it can't happen, I say it can happen." On Iran, Netanyahu praised Trump for calling the nuclear pact a "terrible" deal and said he wanted to discuss how to reign in Iran's "growing aggression in the region." Trump has until mid October to determine whether his administration will move to re-certify the nuclear deal.